Little Lady and I had some time on our hands this week and I asked her if she would like to learn how to weave a basket. She looked at me in amazement and asked if we could really make our own baskets. I couldn’t help but smile. I love crafting with this girl, and teaching her a new technique is so exciting especially when she is fully on board. 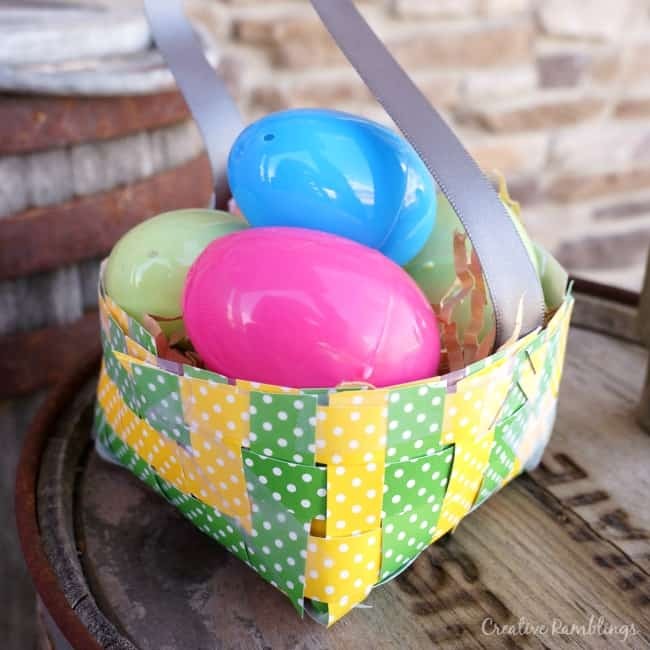 So not only did we weave a little Easter basket, I let her pick the colors and help me make this quick little tutorial video on how to weave a basket with kids. Here is what we used to make our basket. 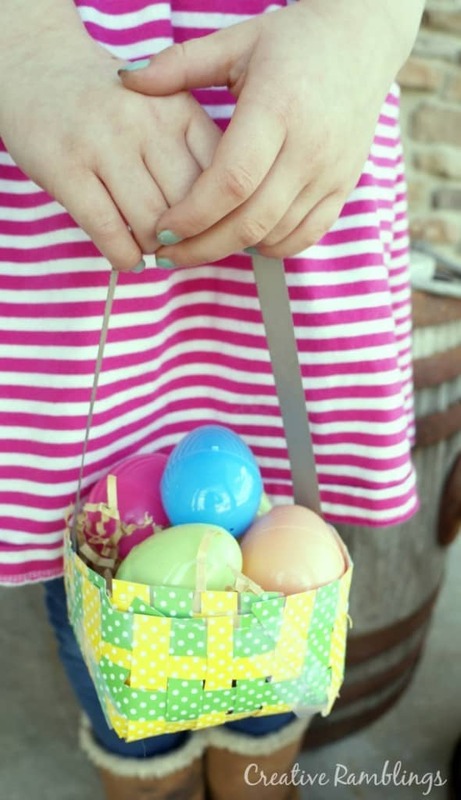 This is a small basket that will hold a handful of eggs. Take a look at how easy this is to put together. Little Lady did most of the cutting and weaving. She is 5 and this was just the right level of difficulty for her, it was also a fairly quick prject given it’s size so it was perfect for her attention span. 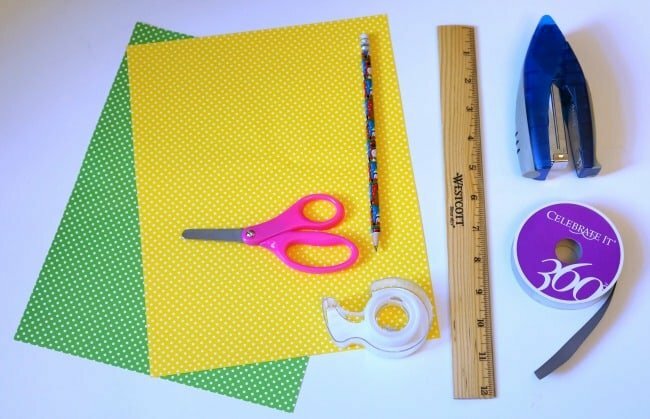 A few tips when weaving a paper basket with your kids. Be sure to watch the quick video above to see just how we made this. Tape down the top 2 strips of woven paper to make it easier for kids to weave in the other strips. When finished weaving all the strips together, tape around the edges and have your child cut along the edge of the tape all around the woven paper. Securing the basket with tape and staples will help it hold up. Have you ever don weaving with your children? I’d love to hear what you made.